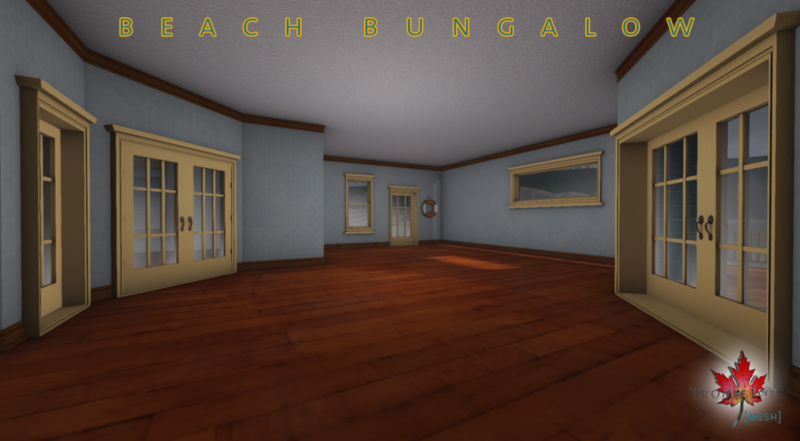 Its time to hit the beach! 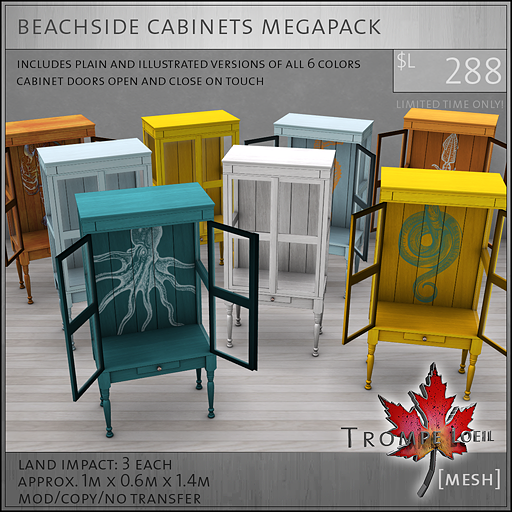 Enjoy the sun and surf with this month’s Collabor88 exclusive brand new, red hot deals – our Beach Bungalow, Beachside Cabinets and Hanging Tri-Planters at fantastic savings! 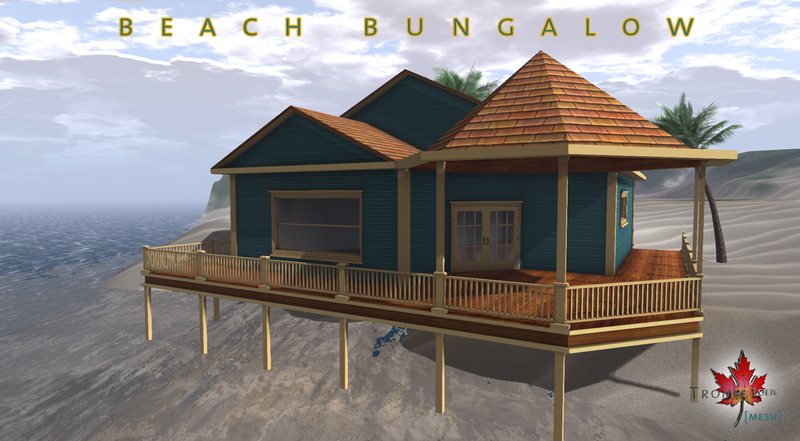 First up, our Beach Bungalow is a cozy getaway in fresh colors, featuring a wraparound deck, gazebo, bedroom, bathroom, privacy windows, locking doors, home control center – and its only 62 prims! 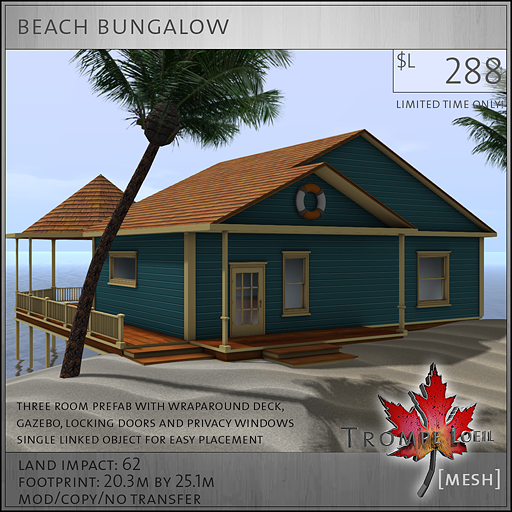 Its bi-level construction works great on sloped plots and seaside properties. Crafted in a single linked object for total ease of placement. Check out the inworld display at Collabor88 – use the teleporter at our kiosk to walk through in person! 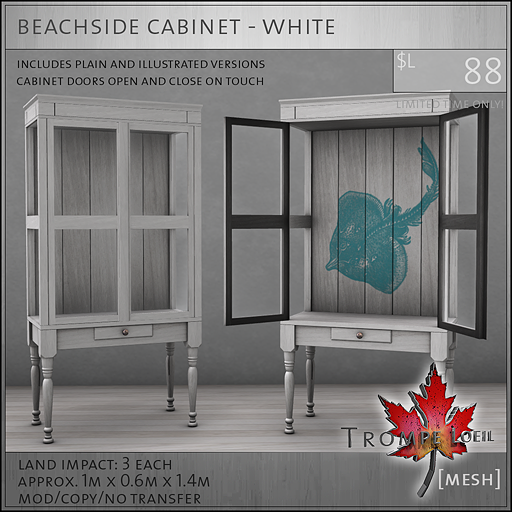 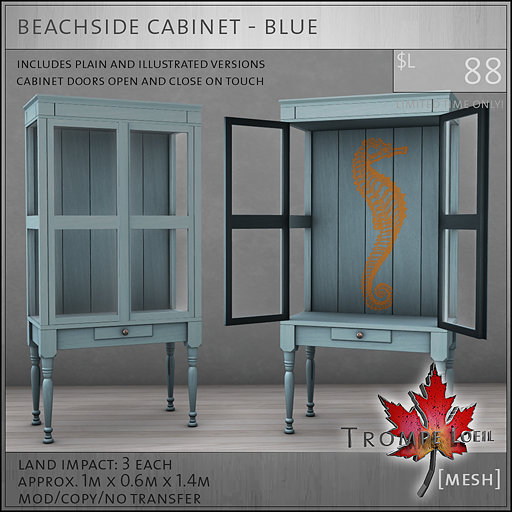 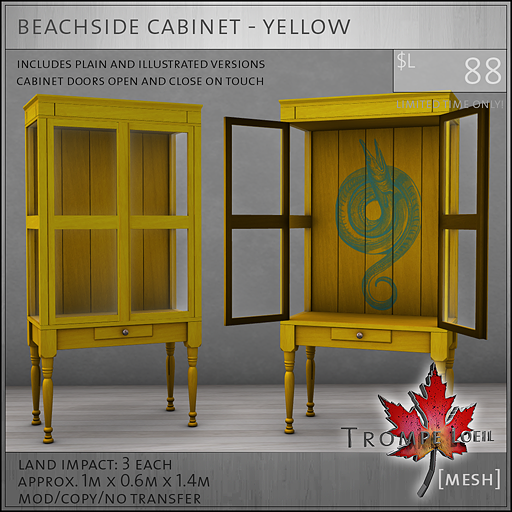 Don’t forget to grab our new Beachside Cabinets and Hanging Tri-Planters too! 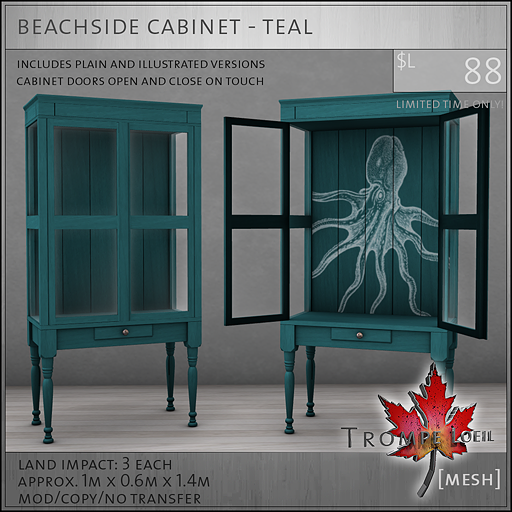 Crafted in coordinating colors, each individual color of the Cabinets features a plain version and a fun sealife illustrated version. 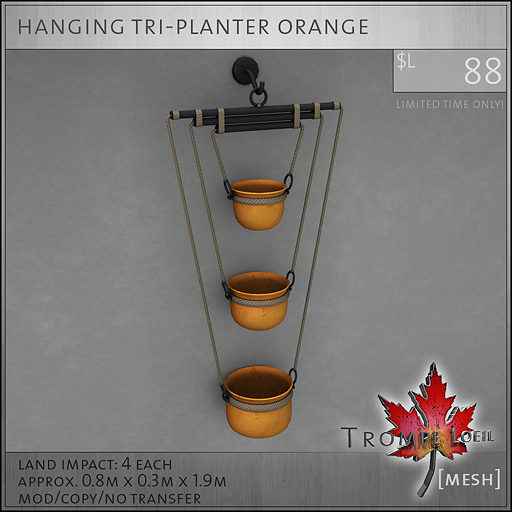 The Hanging Tri-Planters are a surefire conversation piece, great for your plants, flowers, or on its own as a decor object. 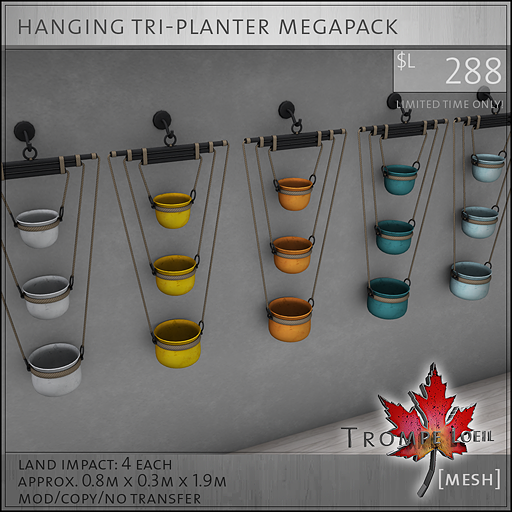 Each only $L88, or pick up the Megapacks for only $L288 each!